Latest new: Immigration Department has temporarily stopped extending visa for every foreign visitor. Please leave Vietnam and apply for a new visa to come back. Vietnam visa extension/renewal is the solution for those who wish to stay in Vietnam longer than the visa validity but not be willing to leave the country. When your visa is coming to expire and your plan in Vietnam is not finished, it's time to go for Vietnam visa extension 2014. Technically, visa extension and visa renewal are alike. Both of them is used to extend your stay in Vietnam but the extension gives you a new stamp showing the new stay duration in Vietnam and the renewal helps you get a new sticker with a new length of stay in Vietnam. For those who are exempted a visa to Vietnam, you are required to renew your visa, not extend it. Normally, the cost of visa extension is cheaper than cost of visa renewal. For more information about the fee, please visit here. What are requirements for visa extension? To be qualified for visa extension, your passport must remain at least 1 month beyond the new length of stay in Vietnam with minimum 01 blank page left for new visa stamp/sickter. In addtion, your visa should be valid for no less than 7 days at the time of application. If your visa has expired, you are required to apply for visa extension in person at Immigration Office. What should you do for visa extension? Receive your passport back with a new visa stamp/sticker on it. The processing time is various in each case. Normally, it takes at least 5 business days for completion. So we always advise that you should submit application for visa extension at least 1 week before the visa expiry date. 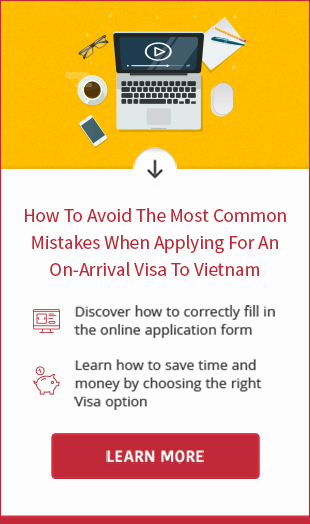 Should you have any concerns in respect of Vietnam visa extension 2014 after reading this article, please give us a contact at support email: [email protected], hotline: +84 966.53.93.63 or chat with us right on the website.